No Back To School shopping would be complete without something that shows that you know how to rock! 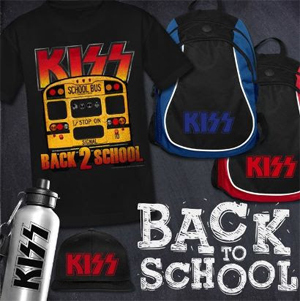 Legendary rockers AEROSMITH and KISS have added new products to their online stores just in time to head back to class. T-shirts, back packs, and water bottles are now available so now you can be the coolest kid in class. 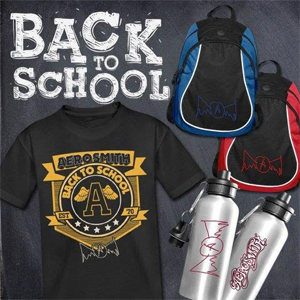 AEROSMITH products are now available HERE and you can get your KISS gear right HERE.